Dimensions: nine inches by 11 inches. The plinth is 30.5 inches tall, 29.75 inches wide, and the top is 8 inches wide. This project is an interactive installation inside a gallery. 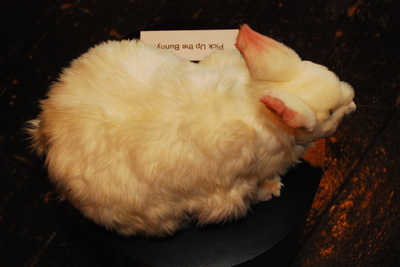 It consists of an altered electro-mechanical toy rabbit that thrives one minute but then collapse when the viewer attempts to interact with it physically. 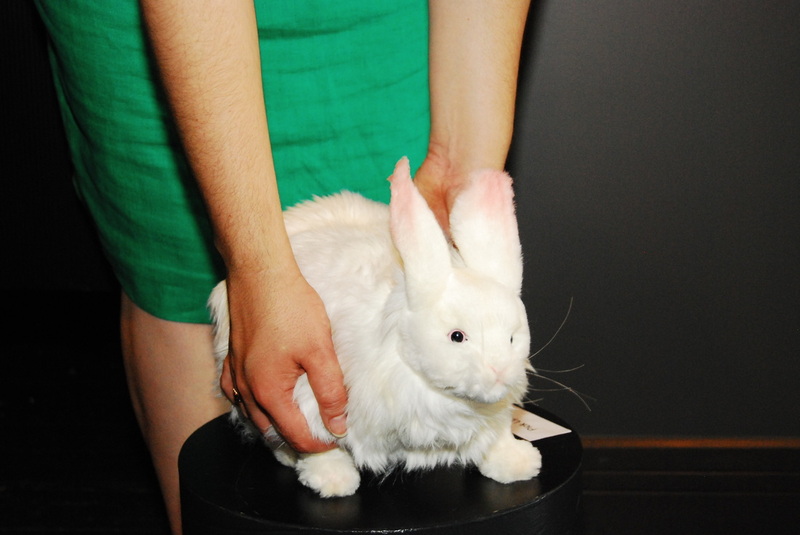 The viewer is given the invitation to stroke and cuddle the rabbit by using written and audio cues. Upon receiving affection from the viewer the rabbit sighs and then breathes its last breath. The viewer could decide to give the dead rabbit a tour of the gallery, or the viewer may put the rabbit back. I have chosen the rabbit as a manifestation of an unachievable pursuit, like pursuing the sublime through landscape. Many stories use rabbits and bunnies as a signifier for innocence lost and a pursuit of the real. The Velveteen Rabbit had to go away when his boy got sick and needed to heal and grow (up). In the same gesture, Lenny from of Mice and Men eagerly wanted to be rabbit keeper for a farm that him and George will never be able to have. Not unlike George and Lenny, rabbits are generally preyed upon by other animals. Joseph Beuys, my personal entry point into this work, tried to explain paintings to a dead hare, both in an egalitarian gesture and a statement of our own limited understanding of being. In these examples the rabbit is a symbol of our mortality and capacity for understanding. 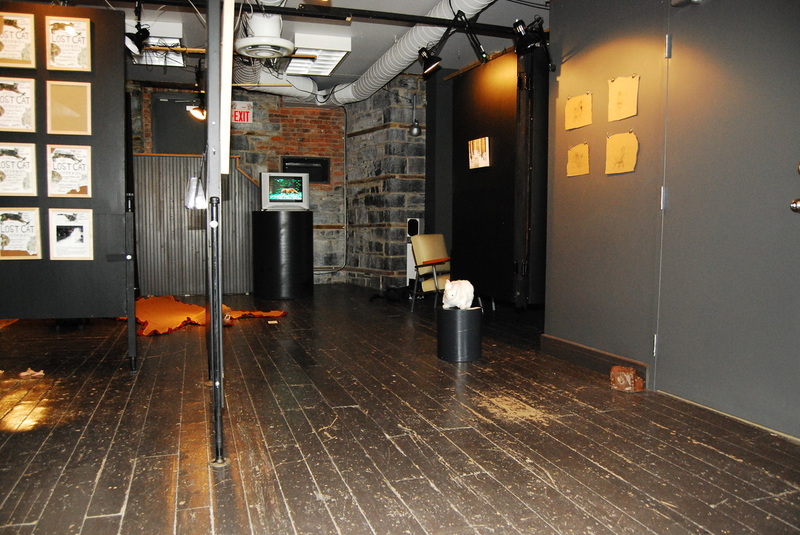 Documentation is from the exhibition Just Act Natural curated by Lisa Visser for the Animals and Animalia conference at Queens University June 26-28. Just Act Natural curated by Lisa Visser. 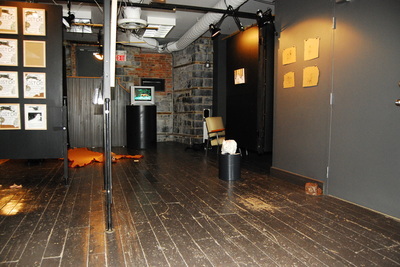 Studio22. Kingston, Ontario. June 25-27th 2010. Responsive Space curated by Stanzie Tooth. Lonsdale Gallery. Toronto Ontario. April 1-19 2009. 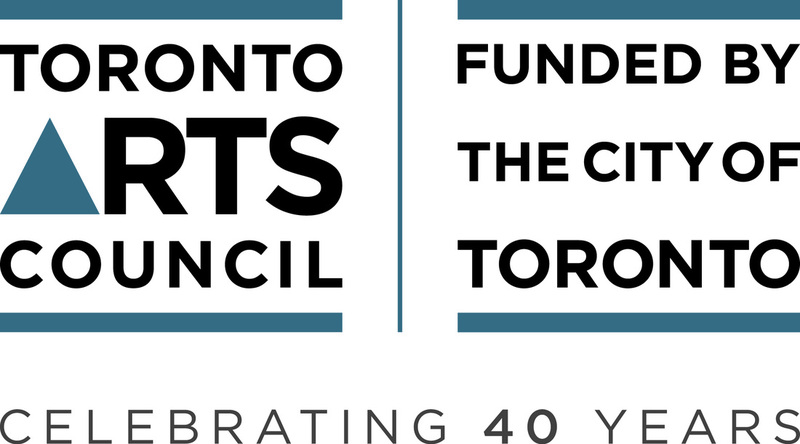 Created with the assistance of the City of Toronto through the Toronto Arts Council and the Ontario Arts Council.